There are at least 9 acts known as Painkiller: 1. Painkiller (also officially known as Pain Killer) is a band originally formed in 1991. Their style can be described as a mix of avant-garde jazz and grindcore; later albums also incorporated elements of ambient and dub. 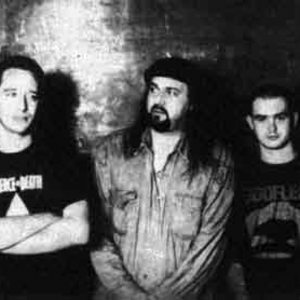 The three primary members of the band are John Zorn on saxophone, Bill Laswell on electric bass and Mick Harris (formerly of Napalm Death and founding member of Scorn) on drums. 1. Painkiller (also officially known as Pain Killer) is a band originally formed in 1991. Their style can be described as a mix of avant-garde jazz and grindcore; later albums also incorporated elements of ambient and dub. The three primary members of the band are John Zorn on saxophone, Bill Laswell on electric bass and Mick Harris (formerly of Napalm Death and founding member of Scorn) on drums. The band has also had several musicians make guest appearances both live and in the studio, including Yamatsuka Eye, Buckethead, Mike Patton, Makigami Koichi, Justin Broadrick and G. C. Green of Godflesh, and Keiji Haino of Fushitsusha. Harris departed from the band in 1995 to dedicate himself solely to computer music; following his departure many assumed that Painkiller was defunct. However, Zorn and Laswell have recently resurrected the band name and played some dates with either Hamid Drake or Yoshida Tatsuya playing drums. Rumours of a new studio album from the band have not been confirmed. 2. An alias of psytrance producer Roy Engel who released his debut album Brainwash in February of 2007.